Over the weekend, I attended the Stampin' Up! On Stage event in Minneapolis, where they unveiled the brand new 2017-2018 Stampin' Up! Annual Catalog! I will post some pictures from the event soon, including a peek at the brand new In Colors! But before I get to all of that, there's one sneak peek that is more timely! In addition to all the new stamps, dies, ink, embellishments, and ribbon -- we also got a peek at the April 2017 Paper Pumpkin kit! It's a fun card kit designed by our CEO Sara Douglass. 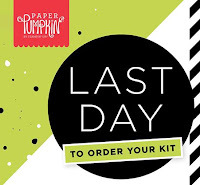 And even more fun -- this kit includes a free gift! Check it out! 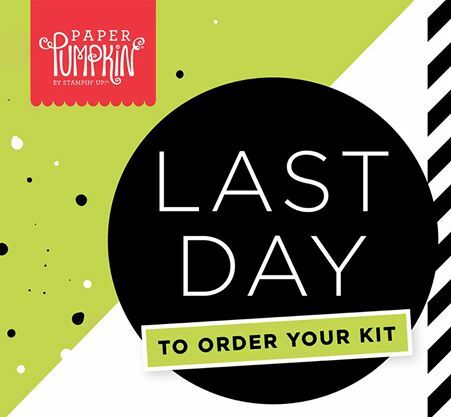 TODAY is the last day to sign-up and get the special Sara kit that includes 12 cards, a new color; Lemon-Lime Twist, and a stamp set with words written in Sara’s actual handwriting! TODAY is the last day to subscribe and get this special edition, so if you haven't subscribed yet, make sure to sign up by the end of TODAY -- Monday, April 10th! Live in the United States? I would love to be your Stampin' Up! Demonstrator!